Jose Andre’s is 43 years old, owns 14 restaurants, and is a winner of the 2011 James Beard award. Now he can also add dean of Spanish Studies at the International Culinary Center of Manhattan to his resume. Jose’s focus is Putting Spain Back in Spanish Food. Andre’s is not your typical Spanish chef. Dining at one of his restaurants is an innovative culinary experience. In my post about Washington D.C. I mentioned one of my favorite Jose Andre’s restaurants Zaytinya. 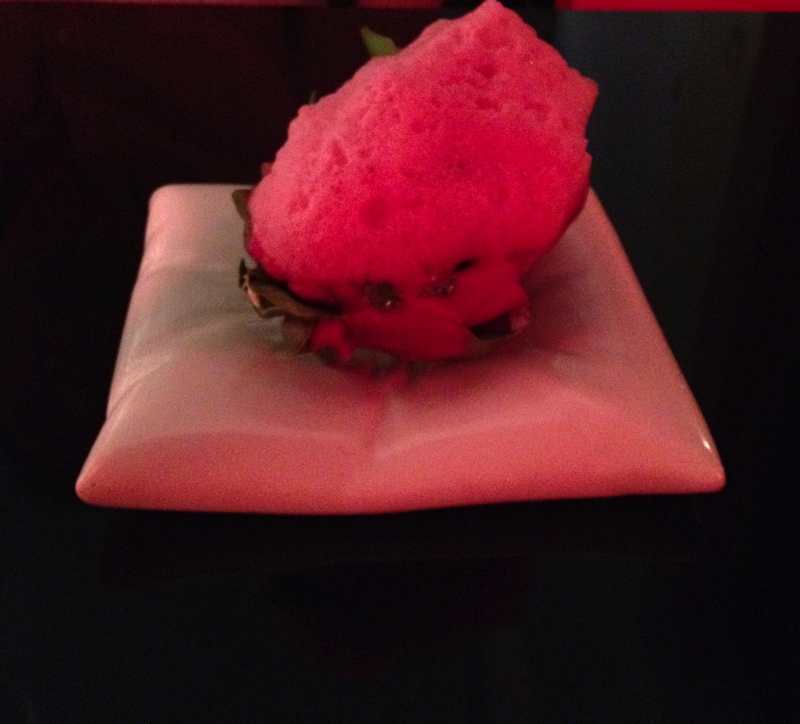 Recently I had the pleasure dining at another one of Andre’s establishments Bazaar Miami. The cusine is what I would describe as deconstructed and innovative. Dragon Fruit Ceviche…tuna, pecans, lime and hibiscus. Delicious. Coquetas de Pollo…chicken be’chamel fritters. Ribs and mashed potatoes Cuban coffee ice cream with dark-chocolate mousse cake. The atmosphere was fun and festive and the food is really creative. It was an unusual dining experience. I can not wait to go back and try some of the little sandwiches. Have you eaten at any of Jose’s restaurants? Leave a comment and let me know. I have never eaten at his restaurants, but after reading your blog, I can’t wait ’til I can get down to Miami and eat at Bazaar Miami!! 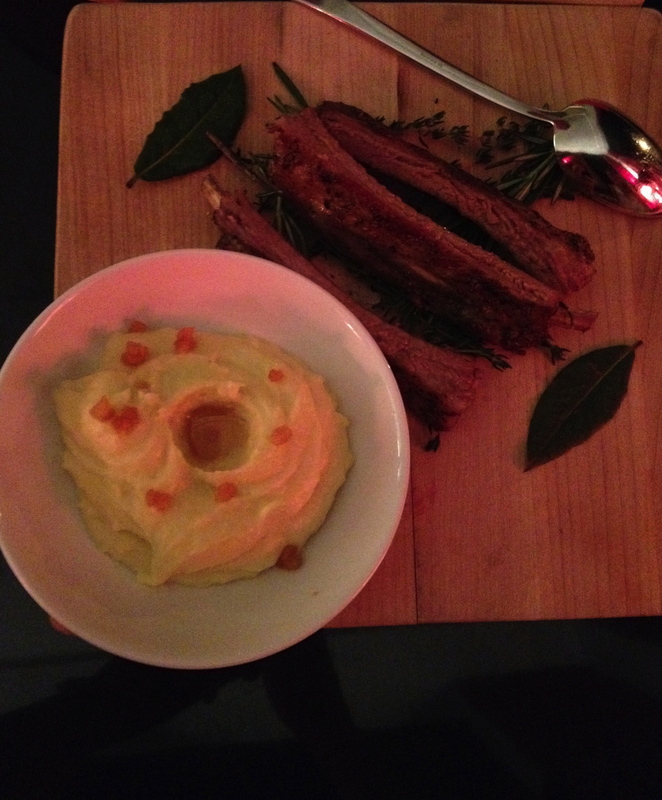 It sounds fabulous and your photos make my mouth water, Thanks for a great blog!!! 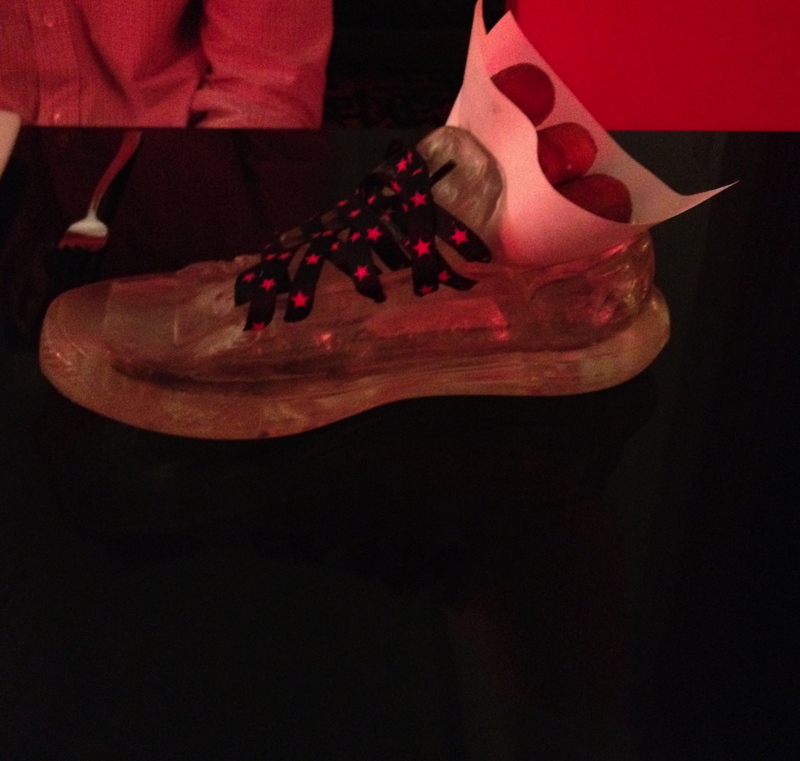 The sneaker was made out of glass and some how it seemed to glow. If I do say so myself, it was really neat. I haven’t eaten at one of Jose’s restaurants either. Sounds like a great excuse for a road trip! Is anyone in? Margaret, You’re always great at finding new and exciting restaurants, I can’t wait to see what’s next! 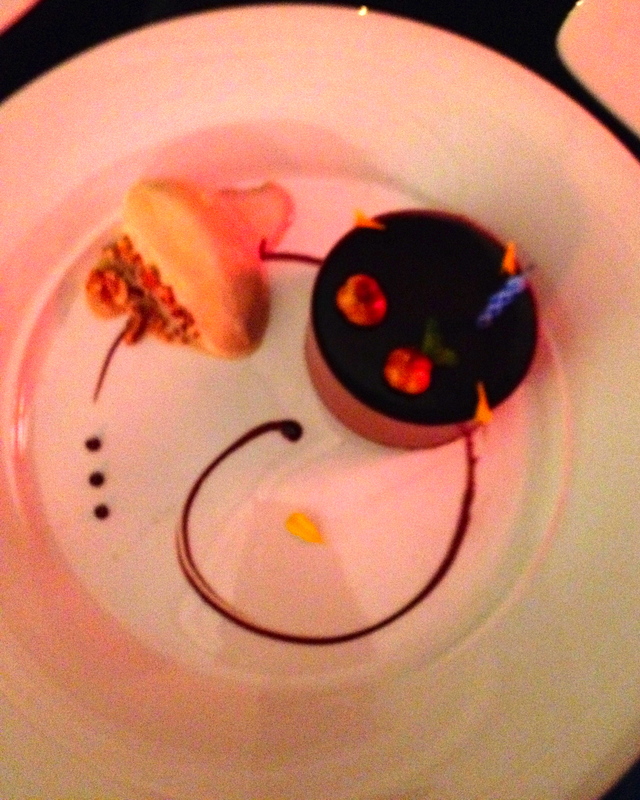 Bazaar Miami is creative culinary dining and definitely worth the drive. I would love to go back. Looks great.I’ll go as long as I don’t have to share! You will not have to share.